This post originallyappears on our content partner site ChoZan. In 2016,the annual growth of retail sales volume of cosmetics products in Chinawitnessed an increase of 8.3 percent, while the sales volume of cosmetics andpersonal care products on JD.com saw a much higher growth of 102 percent. China is ahuge market with tremendous potentials for the fashion and cosmetics industry. Nowadays,Chinese social media has become the battlefield for brands to reach out andsell to their target customers. More and more fashion and cosmetics brands havealready established their presence primarily on WeChat and Weibo. Today, wehave summarised five sales campaign ideas for fashion and cosmetics brands whowould like to target customers in mainland China and get results primarily onWeChat. This isthe most common type of KOL cooperation on WeChat. KOLs write product reviews, provide usagetips, include sales information or merely repost content provided by the brand.Brands often sponsor KOLs for lucky draws or giveaways to increase userengagement. Purchase links can also be added so that interested readers canpurchase items easily after reading an article. 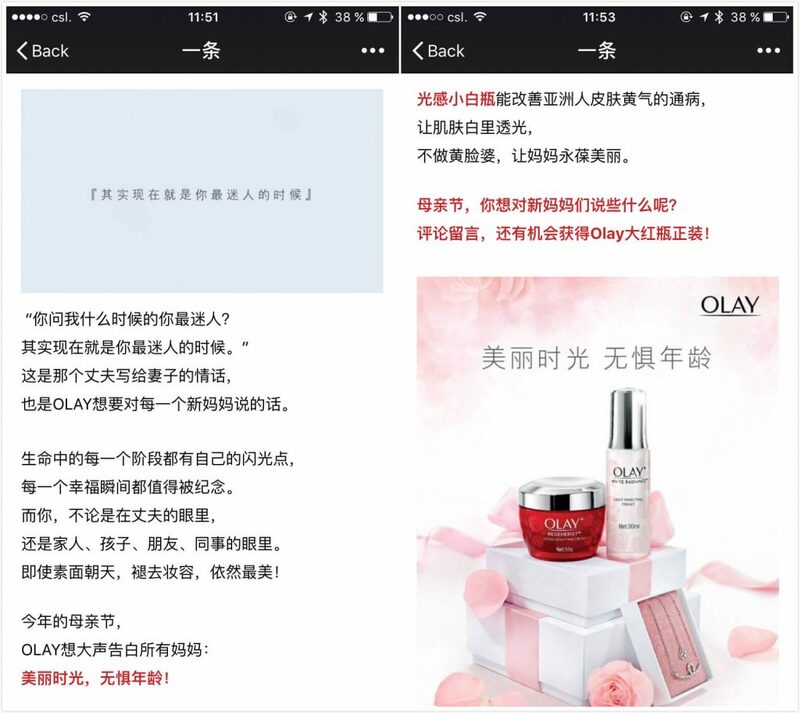 Olaylaunched a large Weibo campaign on Mother’s Day this year to promote its gift package.The skin care brand also leveraged several large KOLs on WeChat for morein-depth promotion. Olay cooperated with top WeChat KOL Yitiao. Olayselected seven large KOLs in different industries and with differentspecialties, including Yitiao (一条; short video production), Lokwooo (乐活记, lifestyle content), kawo01 (卡娃微卡, emotion-related content) and fashion medialike SELF and rayli.com. In this way, Olay got promotional articles fromdifferent angles so that different audiences were covered. Moreover,Olay used a smart timing strategy. These KOLs were asked to publish their ownarticles one by one from May 9th to 14th, so that the campaign period wasextended to keep constant exposure on WeChat. Meanwhile, users had enough timeto notice the campaign and purchase items or spread the word. As aresult, their WeChat articles accumulated over 100,000 page views, and over45,000 gift packages (398 RMB per package) were sold on Olay’s online store onTmall. Brands canlaunch co-branded products with a KOL. A great example of this is theco-branding between Mr. Bags and Givenchy at the beginning of this year. 80limited edition bags worth 1.2 million RMB were sold out in 12 minutes. Afterthis successful campaign, Mr. Bags has been continuing this cooperation model,working with other fashion luxury brands like Burberry, Tod’s and Chloe. 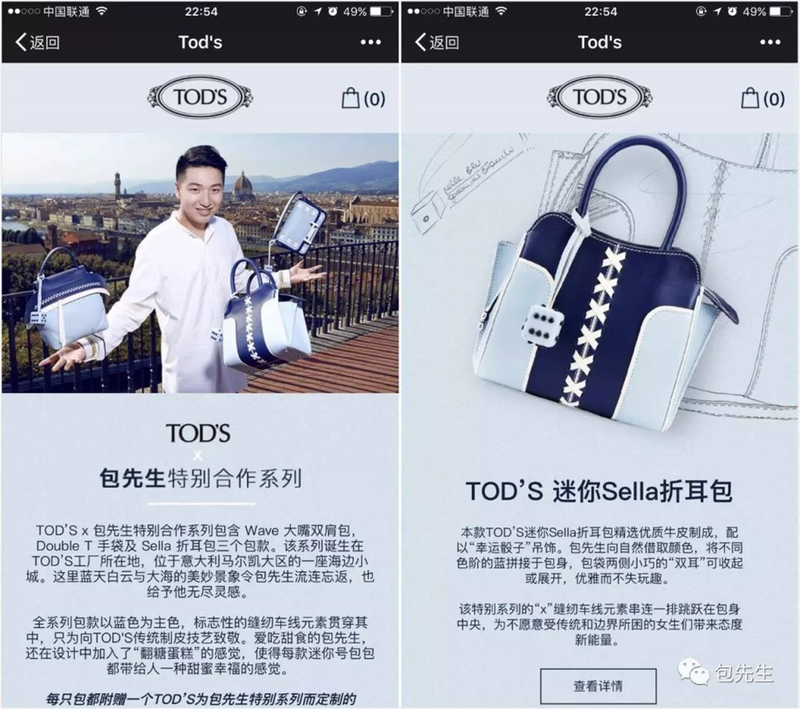 In its sales campaign in June, Tod’s launcheda special edition of bag with Mr. Bags. 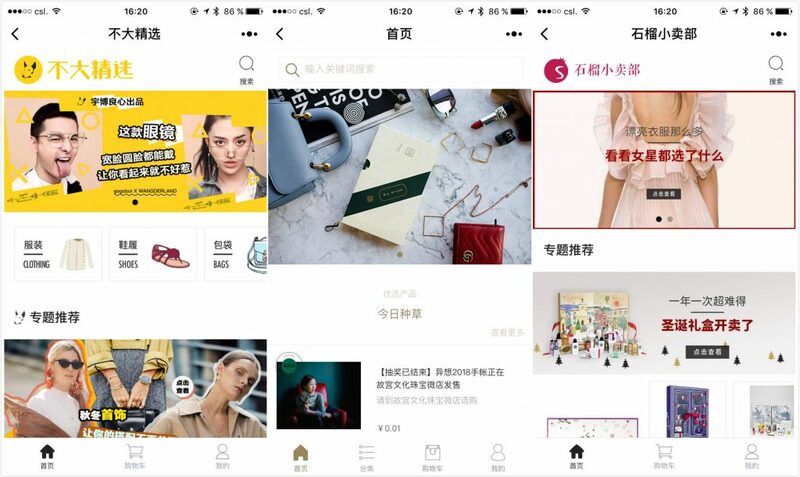 Recently,more and more fashion KOLs have opened their own WeChat stores or mini programsfor e-commerce purposes, including Gogoboi (Store name: 不大精选), Becky Li (Store name: 种草好物馆) and Shiliupo (Store name: 石榴小卖部). 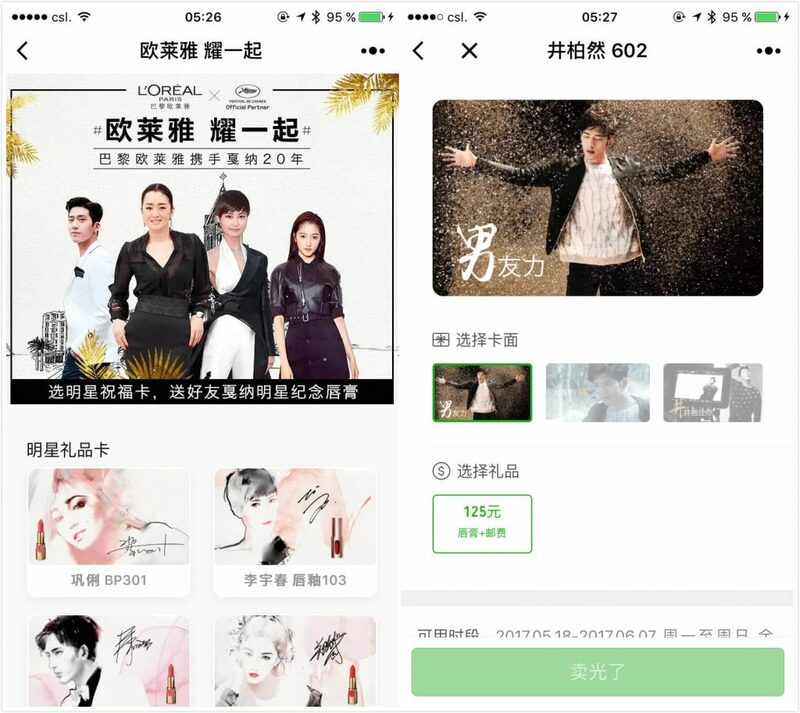 Brands can offer special editions of theirproducts in KOL WeChat stores. Top fashion KOLs’ WeChat stores. Recently,Becky Li, the fashion blogger who sold 100 Mini Cooper cars in 4minutes,released her new e-commerce mini program. The first item she promoted was aco-branded 2018 Fantasy Notebook with Oriental Royal Jewelry (故宫文化珠宝). Becky launched a flash sales campaign,where users paid 0.01 RMB for a lucky draw ticket. The ticket number showedtheir payment order. 25 of them who got a special number (1, 10, 20… 50, 100,200… 900, 1000, 2000… 10000) received a 2018 Fantasy Notebook for free. The10,000 lucky draw tickets sold out quickly. 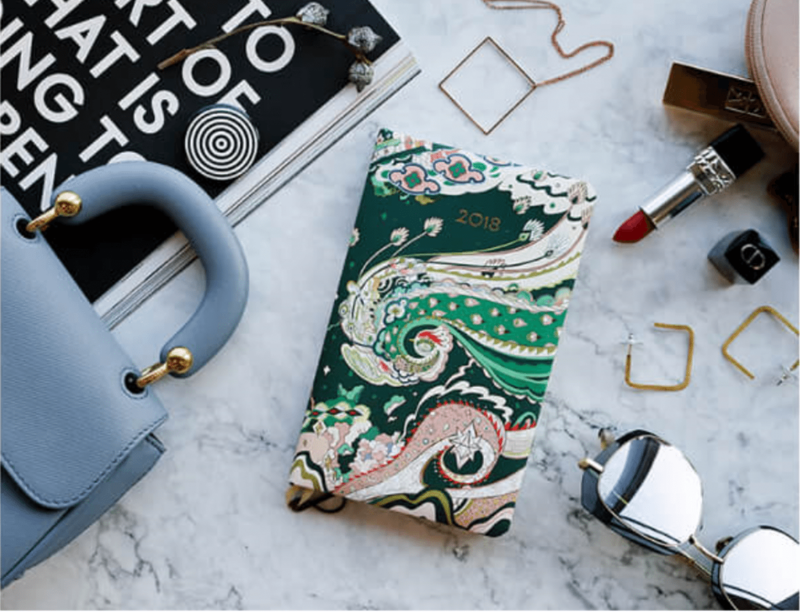 Becky Li launched a sales campaign on herWeChat store to promote her co-branded 2018 Fantasy Notebook. Couponsand vouchers are influential purchase incentives and WeChat’s Moments ad has an option for brands to distributecoupons and vouchers. This helps brands achieve better marketing results thanksto more accurate user targeting. Fashion brand GAP shows us a great example ofusing Moments ads and vouchers in its sales campaign early this year. 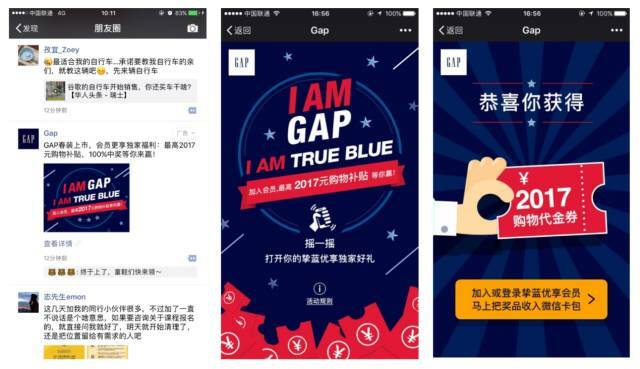 InFebruary, GAP launched a Moments ad which users could click to collect avoucher worth 20.17 to 2017 RMB as well as a membership card for use inbrick-and-mortar stores. The campaign was a huge success as 60 percent ofWeChat users who had seen the ad actually collected the voucher, and 26 percentof those who had collected the voucher actually purchased in offline stores.The ROI of the campaign exceeded 200 percent. 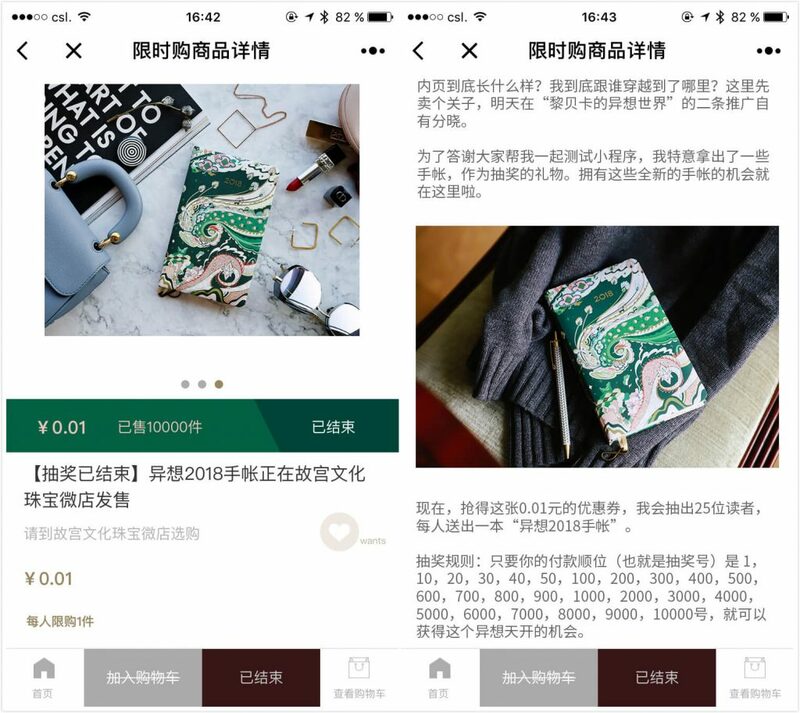 GAPsuccessfully converted potential online buyers into offline customers withinthe WeChat ecosystem – users finished the whole purchasing process from vouchercollection to final checkout (using WeChat Pay) within WeChat. Encouragingusers to collect membership cards helped them build a large customer database.With this database, GAP can nurture long-term relationships with these peopleand enhance their brand loyalty. Chinesecustomers like sending gifts to their family, friends, and colleagues onspecial days or festivals. Early in February, WeChat partnered with Starbucksto launch a gift card service for Starbucks users, who can purchase a gift cardand send it to their friends on WeChat. During the Cannes Film Festival thisyear, L’Oréalalso launched a mini program for its special gift cards. They partnered withfour celebrities, (one actor and three actresses) Gong Li, Li Yuchun, JingBoran and Guan Xiaotong, who each represented a limited edition of lipstick.Users first chose the style of the gift card and then the product. Then theycould share the gift cards with their WeChat contacts. As thecampaign was launched right before May 20th, China’s online Valentine’s Day (inChinese, “520” is a homophone for “I love you”), 52,000 lipsticks sold out inone hour. Given the high sales volume, L’Oréal decided to continue selling.From May 17th to 31st, L’Oréal released 3,000 lipsticks for sales each day. Asa result, a total of 42,000 more lipsticks were sold during the second round ofthe campaign. L’Oréalsmartly leveraged the celebrity effect. Celebrities are fashion trendsetterswho definitely drive sales when they represent a brand thanks to their largenumber of fans. Early thisyear, Estée Lauder engaged Yang Mi, who plays the heroine of the popular TVseries Eternal Love (三生三世十里桃花), to be their brand spokeswoman. They produced a specialedition lipstick under her name and launched a UGC campaign on Weibo showcasing a makeup stylefeatured in the TV series. As Yang Mi is one of the top actresses in China, thecollaboration between her and Estée Lauder was a huge success. Femalecustomers are undoubtedly the force behind the fashion and cosmetics industryso most brands launch their sales campaigns on special days for women likeWomen’s Day, Mother’s Day, May 20th, and the Qixi Festival (Chinese Valentine’s Day). In fact, for the Qixi Festival in August,Dior also launched its own gift card mini program for customers to purchaseperfumed lipsticks for their loved ones. This alsocreates incentives for male customers who want to buy presents for their wives,girlfriends or mothers on these special days. This makes gift cards a specialfeature that combines social connections and e-commerce. UGCcampaigns are another common type of sales campaign that fashion and cosmeticsbrands favor. Participants are encouraged to upload pictures of an outfit thatuses the brand’s clothes or accessories. For cosmetics brands, they may beasked to share their usual makeup using the brand’s products. UGC campaigns canbe leveraged to drive sales as customers are able to preview how they will lookwhen they see other people in the clothes they want or when they use theirdesired cosmetics products. 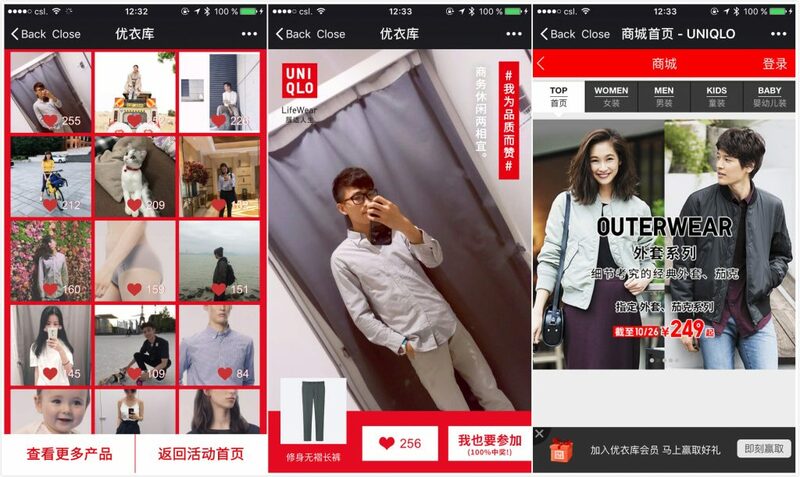 In August,UNIQLO launched an H5 page, encouraging users to upload a photo or a videoshowing themselves wearing UNIQLO’s clothes, in order to promote its “LifeWear” concept and boost sales. Participants had a chance to win a UNIQLOproduct or a red packet offered by ele.me, food delivery service provider.There is also a link that directs participants to UNIQLO’s online store on theH5 page. H&Mhas also launched a mini program (called “H&M红人潮拍”) particularly for its UGC campaigns. In itsrecent campaign, users are encouraged to upload pictures showcasing theircostume matching style with coats or jackets. The top 3 participants will beable to take part in the street snaps campaign in Shanghai co-organized byH&M and P1, online fashion community. Their photos will be also posted onH&M’s official WeChat account in early December. ● Weibo: Since it’s open and public, it’s the ideal platform touse when brands want maximum exposure and widespread influence. 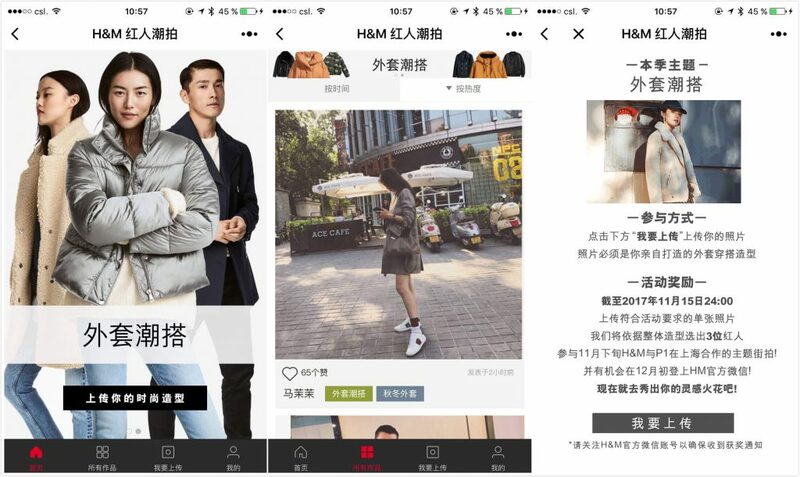 ● WeChat: As a semi-closed platform, it helpsbrands achieve a more intimate level of engagement. ● For video campaigns, Miaopai, Meipai and Bilibili are the most popular video platforms. ● Some camera apps that offer special stickersare also brands’ favorites, like FaceU and B612. Brands can cooperate with theapp and launch special stickers for users to add on their pictures. Then userscan upload these pictures on Weibo to help brands earn exposure. As forcontent, it’s better to collect visually-oriented material like simple picturesor short written posts because they don’t take too much time to make and it’seasier for users to participate and share. Sinceearly this year, WeChat has been releasing more and more advanced features formini programs. Now WeChat allows developers to add multimedia content in theirmini programs. 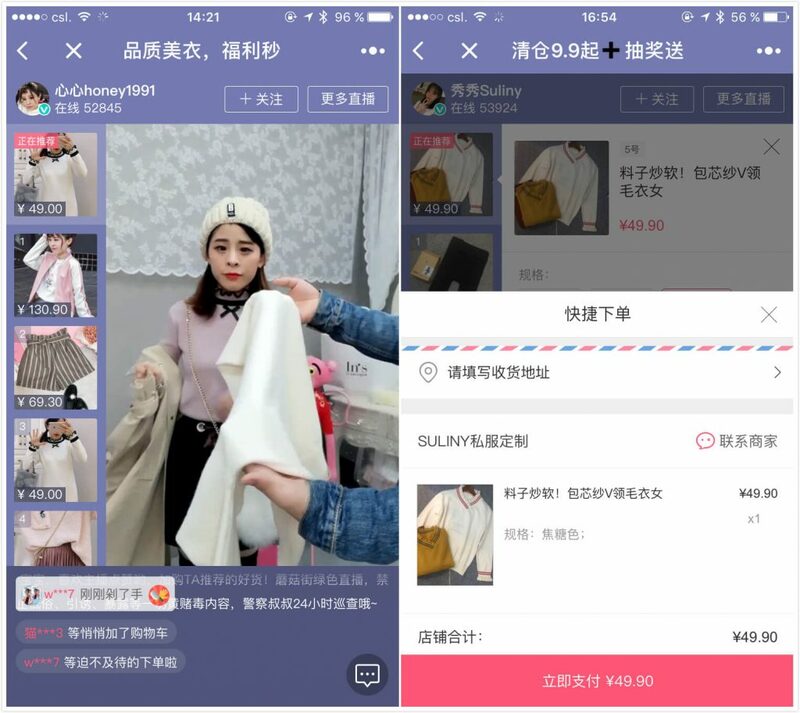 Mogujie (蘑菇街), a social commerce app where fashion products are sold,launched their own mini program that allows sellers to host live streams andsell in late July. In thismini program, sellers launch live streams to showcase the clothes andaccessories they sell. If viewers are interested, they can select the items onthe left, make an order and finish payment within the mini program giving it a“See now, buy now” feature. Flash sales campaigns can also be launched. Mogujie’s mini program combines e-commerceand live streaming together. Accordingto an interview with Mogujie’s project director, it only took about three weeksto develop and finally launch the mini program for live streaming. 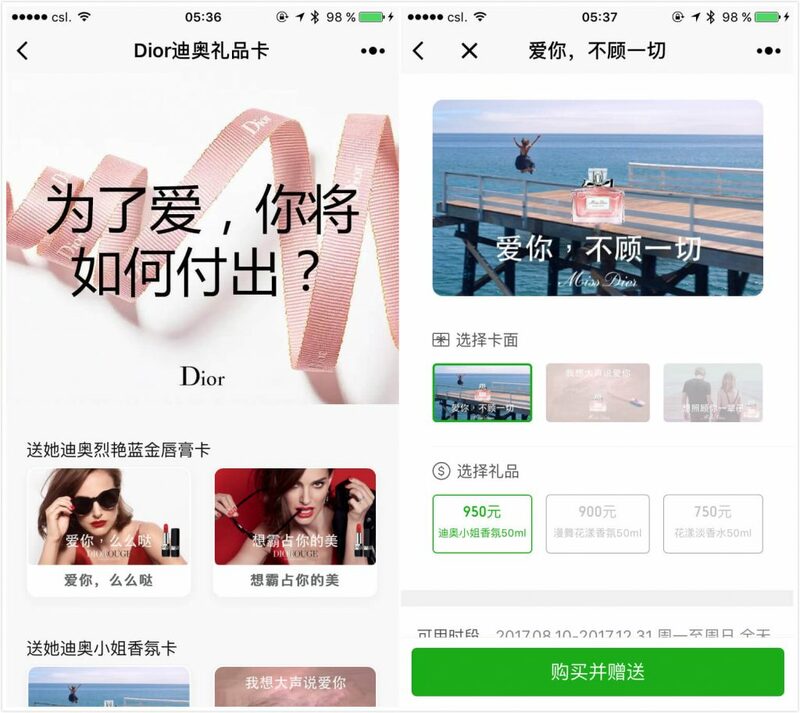 This meansmost brands’ can launch their own mini program for both live streaming ande-commerce as an option to boost sales on WeChat.